Alcohol and beverage sales offer you an easy way to increase profitability due to having lower costs and greater profit margins compared to other products, such as food. 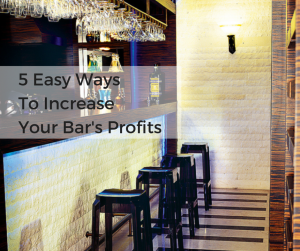 We consider some easy tips every bar manager should know to increase your bar’s profits. One of the easiest ways to lose out on profits in a bar is by having poor control over your inventory. Bartending is one of the few hospitality professions where the same person will be in charge of taking the order, serving the customer, preparing the bill, handling the cash, and taking the inventory. Each of these things has a direct influence on profits. That is why it is so important for staff to keep meticulous records in order to control stock and liquor costs. You should also limit the amount of inventory you hold as overstocked inventory is a common drain on profit. Restrain from purchasing additional stock “just in case” and instead keep a good record of trends, sales, and inventory so you know which items will need to be restocked and which ones you have enough of. You should also teach your staff to rotate the stock so that the first ones in are the first ones out. This will ensure you are using your oldest stock first to avoid any waste. The last thing you want at your bar is to have a long line of customers empty handed and waiting to be served. Every time a customer is standing at the bar waiting, without a drink in hand, you are losing money. The worst part is that customers will likely choose another bar next time, which will cost you even more over time. While it may be difficult to determine how busy you will be every night, it is typically worth paying for an extra bartender to serve, rather than leave your customers waiting. This is especially true on your busiest nights, which tend to be Fridays, Saturdays and special dates such as New Year’s Eve or Valentine’s Day. The interior design of your bar can have a huge impact on whether customers will be enticed to visit your bar and to stay for a considerable length of time. The longer they stay and the more frequently they visit, the higher profit you potentially make. 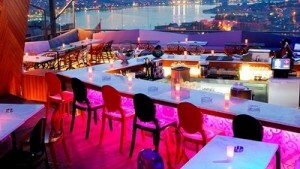 Make sure that your bar furniture are stylish and comfortable. Do not let old and worn furnishings turn away even your regular goers. Keep your establishment clean and replace your commercial furniture regularly. Creating your own deals and special offers can help drive profits and customer loyalty, so it’s a win/win. From loyalty cards to drink offers on certain days, you can encourage customers to keep coming back for more. Think about offers that would appeal to your target customers and keep things fresh and interesting. Some bars have taken to new themed cocktails being offered on a set day of the week, or inviting their bartenders to create their very own cocktails in a competition. Not only will you be offering your customers something different to set yourself aside from competitors, but you can also get your staff involved and help boost creativity. Not everyone will come to a bar and order alcoholic drinks, so rather than leaving them to order the cheapest drinks with the lowest margins, you should create drinks targeted to this particular customer. Virgin cocktails such as a frozen non-alcoholic daiquiri will taste delicious and can be sold at a higher price than a plain fruit juice or soft drink. Keeping a good range of non alcoholic bottled beverages will make your bar more appealing to non-drinkers. Not only will this help to increase profits, but it will also help to keep your customers happy and coming back for more. We have a wide range of bar furniture to help you keep your bar appealing and inviting. Call us now 1300 559 965 or head straight to our quote cart.